A live action Marmaduke movie is under works! The film is directed by Tom Dey. It will be told told from the viewpoint of the dog Marmaduke, the Great Dane made famous in the popular comic strip. Actor Owen Wilson will lend his voice to Marmaduke. The film will also star Emma Stone, Christopher Mintz-Plasse, Ron Perlman, Judy Greer, Anjelah Johnson, Lee Pace and Steve Coogan. 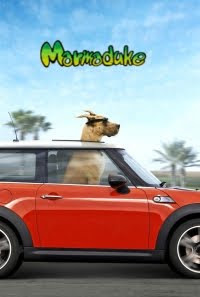 20th Century Fox set the release date of The Marmaduke movie for June 4, 2010. 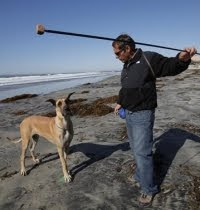 "We've approached the movie like a John Hughes movie with dogs. The dog park is like high school for dogs. To make this kind of movie, you really have to understand that it is the dog's world and we just live in it. Marmaduke is a teenager, and he's trying to find his way in the world. It's a boy-meets-girl story, a coming-of-age and cautionary tale." I'm already found of the dog they chose for the film! Impatient to watch the movie trailer of Marmaduke. I bet this movie will be damn hilarious!